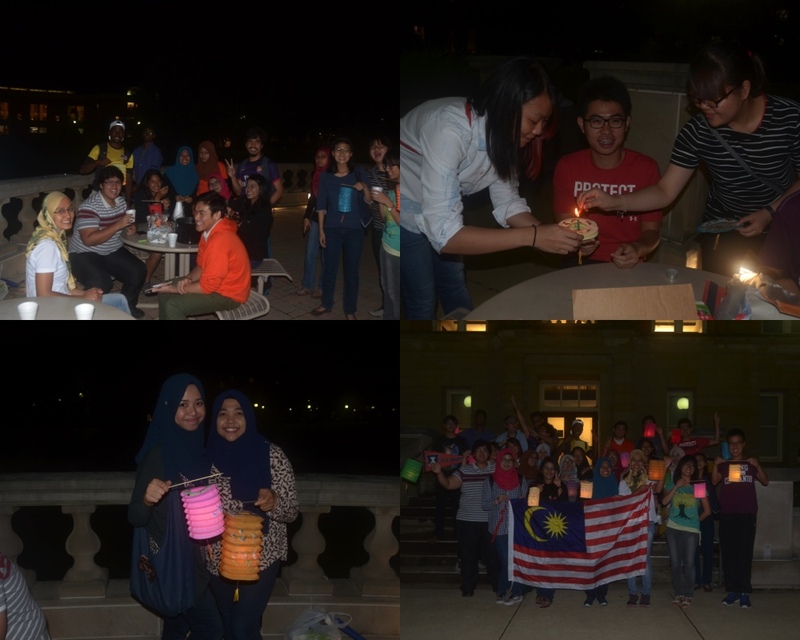 On the 16th of September 2016, Malaysian Student Association organized the annual Mid-Autumn Festival gathering at the Engineering Hall patio. It was a night for moon worship but unfortunately, the bright moon was covered by the clouds. However, it did not hinder the enjoyment of the members. Various kinds of mooncakes were bought for the members and hot tea was prepared as well. In Chinese culture, sharing mooncakes signifies unity and the round shape of mooncake symbolizes completeness and reunion. Of course, the tradition of playing lantern is not forgotten as MaSA prepared brightly lit lanterns for the members. The lanterns of various shapes and colors warmly lit and colored the night. Coincidentally, the 16th of September is also Malaysian Day, a commemoration of our beloved home country's federation establishment. All members took a photo together with their lanterns and with our Jalur Gemilang. Overall, it was a great night and everyone had a great time catching up with each other. This entry was posted on Friday, September 16, 2016 and is filed under 2016,Mid-Autumn Festival,Spring 2016. You can follow any responses to this entry through the RSS 2.0. You can leave a response.